Micromax new flagship is all set to launch today in India’s capital city New Delhi. Already the invites are sent to media and tech bloggers regarding the launch event but the name of the flagship is not revealed and is still unknown. 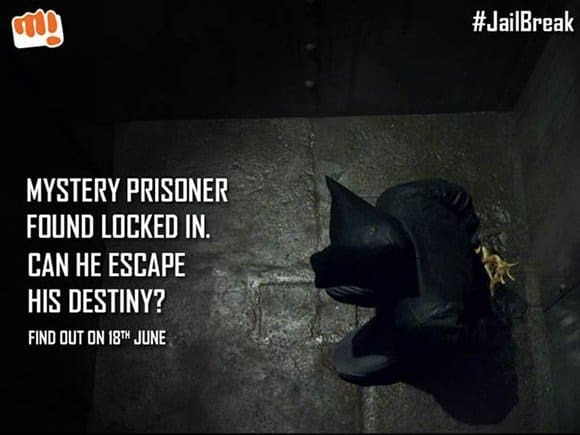 Even on the main site of Micromax, there’s a count down timer with a video showing a prisoner trying to escape after he caught, the whole ad will be revealed today during the launch event. I think we can guess who might be the person behind the mask – #HughJackman. Coming to flagship, we have no information on the flagship but there’s a rumor the flagship might be the next version in Canvas series- Micromax Canvas 5. As per the rumored specifications, the phone features a 1080p display, powered by the new MediaTek Helio X 10 ( MT6795) chipset. It sports a 2 GB of RAM and a 16MP rear camera, the front-facing camera is of 5 MP. It is expected that the mobile might come packed with aluminium chasis. Besides there’s no official confirmation nor the exact specs of this flagship, well, everything will be unveiled in couple of hours.